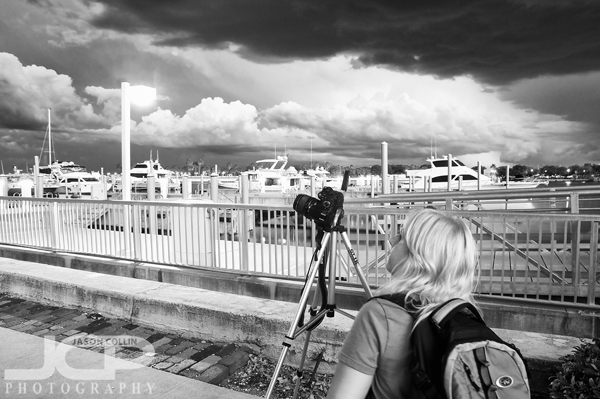 Lisa photographing a water spout during our stormy photography lesson in St. Petersburg FloridaFor our second of four 1-on-1 DSLR Photography Lessons in downtown St. Petersburg I met Lisa in the evening for a tripod focused photography lesson. 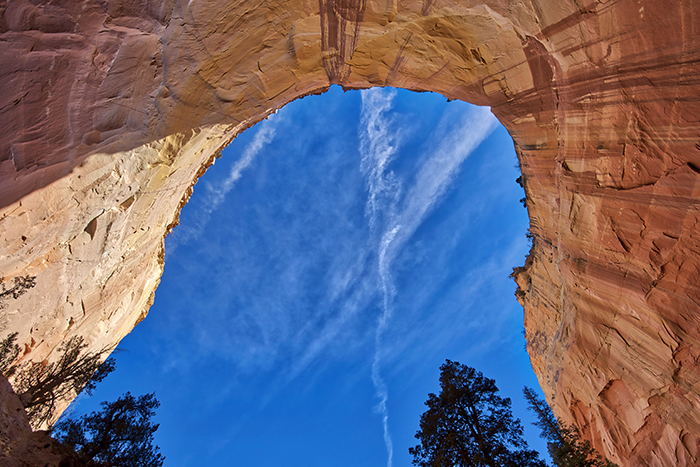 With sunset around 8:30pm, our 2-hour lesson would cover sunset through twilight through night. However, Mother Nature provided a bit of a diversion in the form of a severe thunderstorm. It was the loudest most powerful lightning I have felt in Florida in 15 years! Before all that happened there was a waterspout staring us down and two funnel clouds floating overhead. We stayed safe and out of danger, but we ended up getting a bit wet once the rain came before we got to cover. All this made for quite an exciting lesson! There were plenty of stormy skies to photograph before sunset, then of course the waterspout too. So instead of a photographing a gentle sunset from Vinoy Park as I planned, we actually photographed the waterspout and then tried to get some lightning shots too. It was the most exciting photography lesson in a long time!